The Texas & Pacific Warehouse was constructed in 1931 as a part of a three building complex along Fort Worth’s Front Street, renamed Lancaster Avenue for Texas & Pacific Railway’s President, John Lancaster. 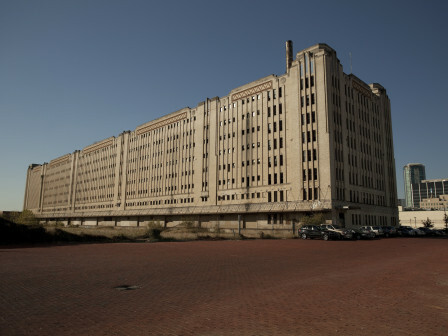 In addition to the warehouse, the complex includes the Texas & Pacific Railway Terminal and the United States Post Office, designed by Fort Worth architect Wyatt C. Hedrick. The eight-story warehouse is a muted version of the taller and more embellished passenger terminal building. Both buildings have elements of the Zig-Zag Moderne style present in the early Art Deco period. Demolition by neglect is currently the greatest threat to this landmark property. The basement is filled with water, trees are growing from the roof, and no effort has been made to mothball or stabilize the building. Continued delay of the rehabilitation may result in the building being so deteriorated that its reuse is no longer feasible. The building can be saved by taking advantage of city, state and federal historic preservation tax incentives to fund adaptive use. The City of Fort Worth and the Tax Increment Financing Board have been encouraging many new projects along the Lancaster corridor, and the Texas & Pacific Warehouse building is a much-needed anchor in the area that has languished for two decades. We include this building again on our list to spotlight the value of the new 25% state historic preservation tax credit as an added incentive to the saving of large-scale historic landmark structures.